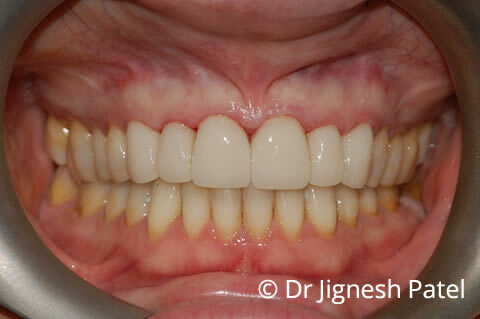 Dental Veneers can be an ideal treatment for people wishing to improve the aesthetics of their teeth. 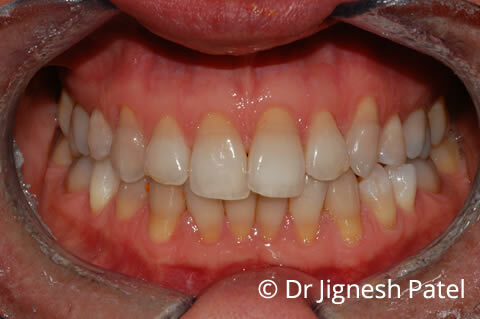 They are very thin layers of porcelain which fit over a prepared tooth. The aesthetics of dental veneers can be matched to your surrounding teeth so that they appear completely natural but perfectly cover imperfections such as chipped, cracked, or irregularly shaped teeth, internal or permanently stained teeth. Dental veneers can also be used to cosmetically conceal gaps in between the teeth. 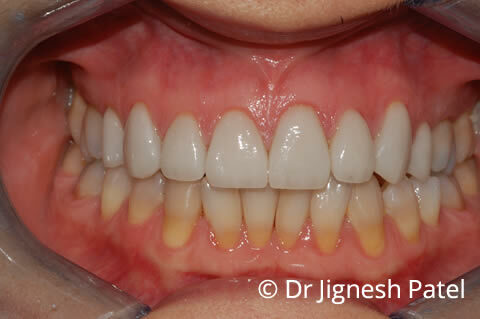 The preparation for dental veneers is minimal and involves removing a very thin layer of enamel. An impression is taken of the prepared teeth, sent to our cosmetic laboratory who, following your practitioners prescription, make the bespoke veneer/s. The laboratory work usually takes around 8 working days. 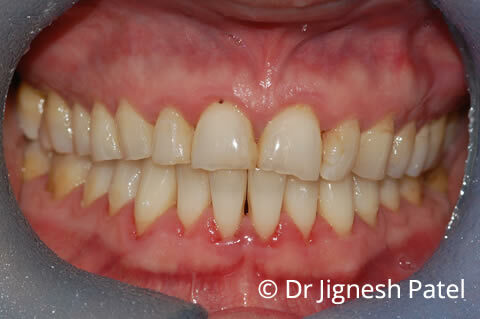 During this time, a cosmetic temporary veneer will be in place on the prepared surface/s to protect the tooth/teeth. Just like the permanent veneer, the temporary is moulded and shaped so that it appears just as your natural tooth. Often, to match the shade of the permanent restoration, we will advise you to visit the laboratory as they have specialised equipment which can match the various shades that make up that one tooth so that your new restoration/s perfectly match your surrounding teeth. Before embarking upon extensive cosmetic veneer treatment, a wax model can be made so you can visualise and be sure how your new look will appear and make any adjustments or changes before having them permanently restored. Your smile is important and leaves a lasting impression. If you are concerned or self-conscious about imperfections affecting your teeth, arrange your free cosmetic consultation at ConfiDental Clinic, Streatham to discuss dental veneers and other cosmetic options available to you.